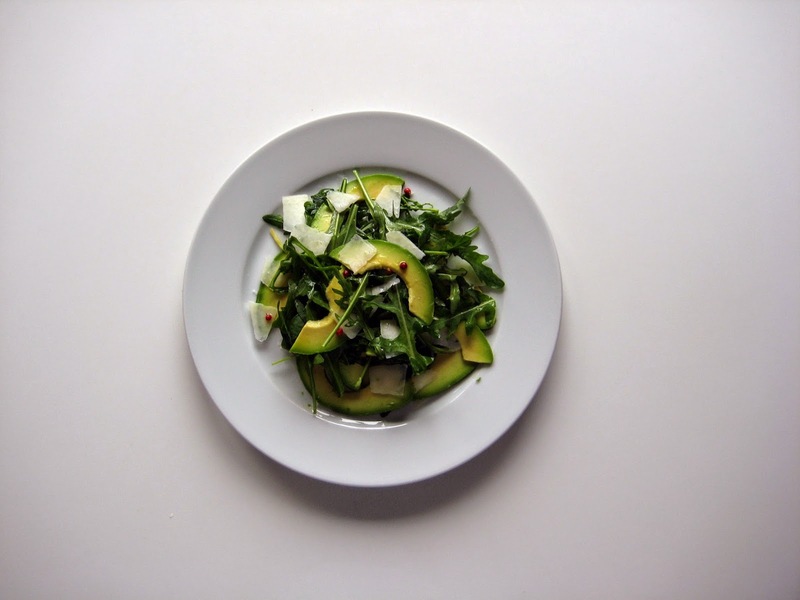 Easy enough to make anytime..
Make a simple dressing by mixing olive oil and lemon juice. 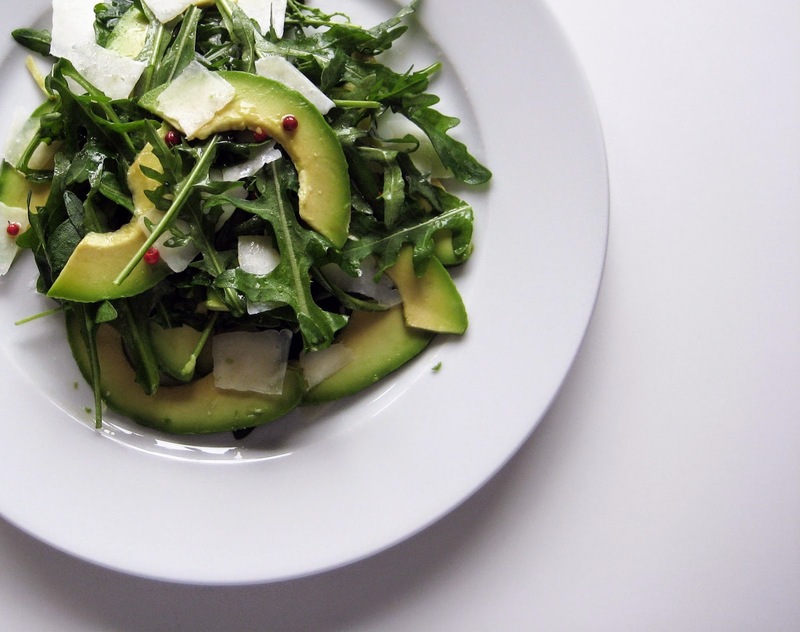 Place arugula in a bowl, pour over some of the dressing and mix well. 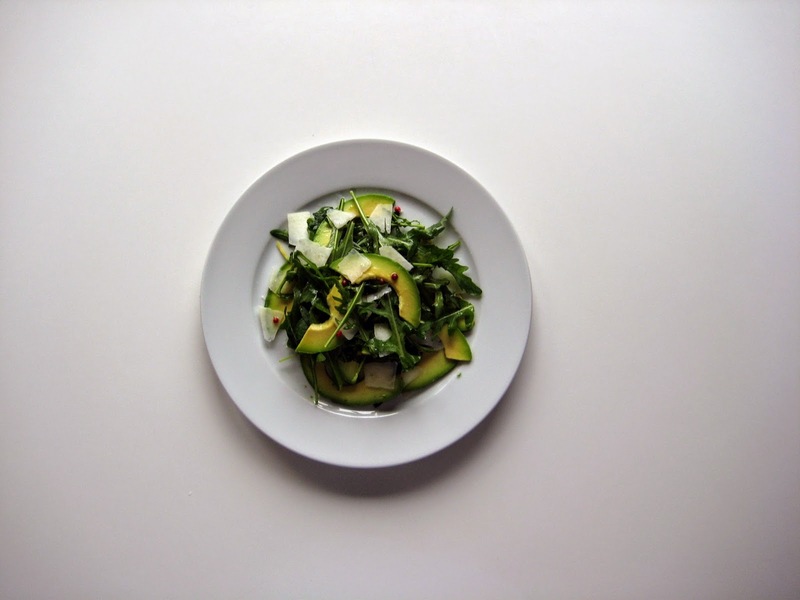 Chop the avocado into chunks and add it to the bowl along with the arugula. Combine slowly and place everything on a plate. 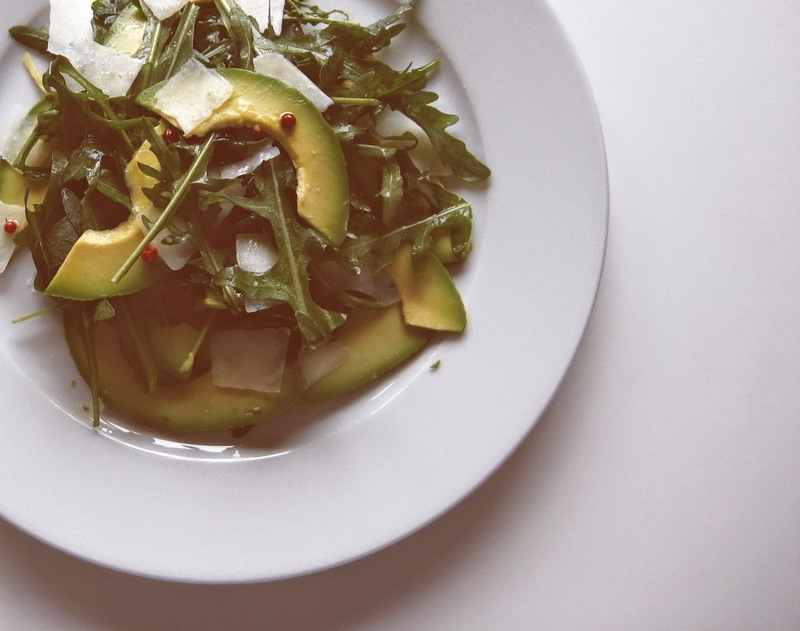 Shave enough Parmesan and spoon the rest of the dressing over the salad. Add couple of pink peppercorns before serving.